Price: Cost: Included with Park admission. We are lucky to have incredible Animal Educators to help us spread the word on the important roles they play in the Park. 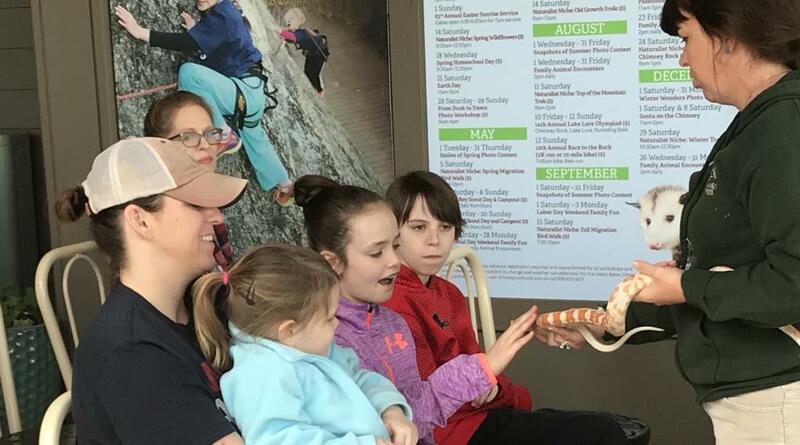 Join one of our Park naturalists for an informal program where your family will love meeting some of our wilder teammates! Kids of all ages are sure to take home some fun facts and special memories. 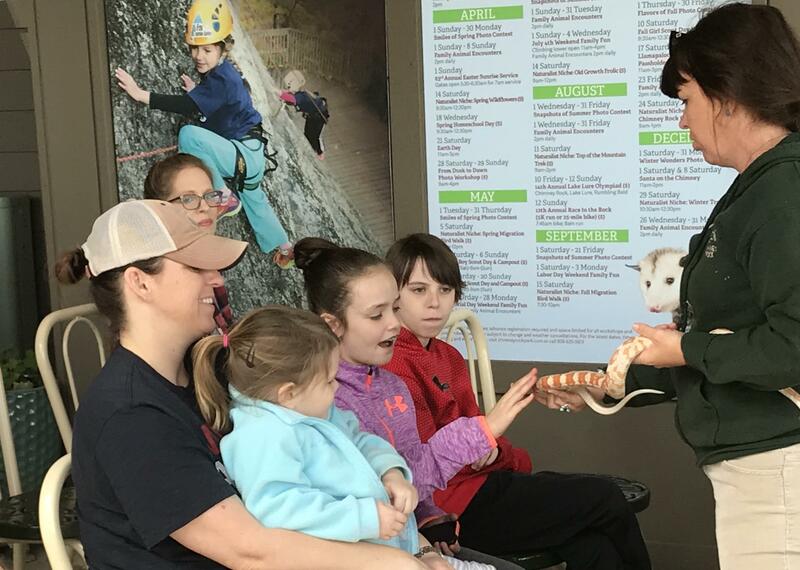 Then, grab a Track Trail brochure at the Animal Discovery Den and round out the day with a hike along our Great Woodland Adventure trail with 12 education stations. Don’t forget your camera! Cost: Included with Park admission.